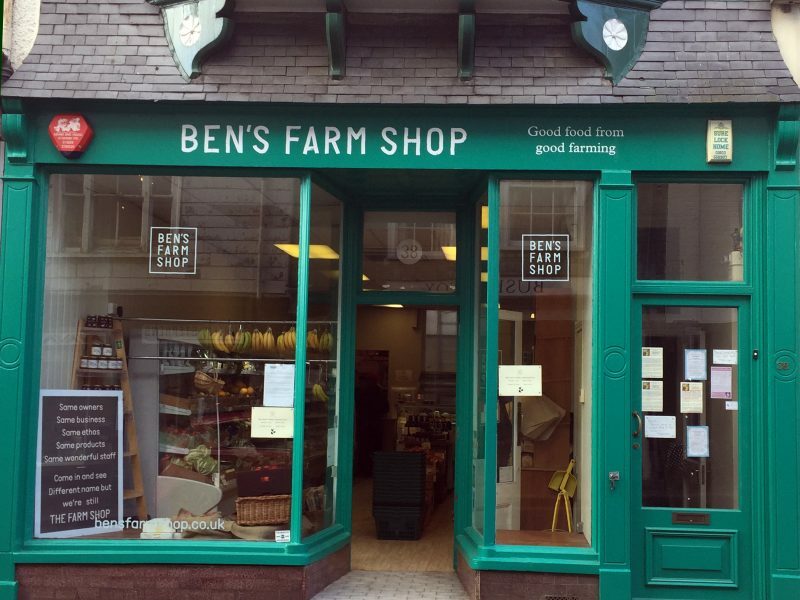 Our Staverton shop has grown over the years, but as a real farm shop the traditional butcher's counter and ‘endless harvest festival’ fruit and vegetable areas are still at the heart of things. 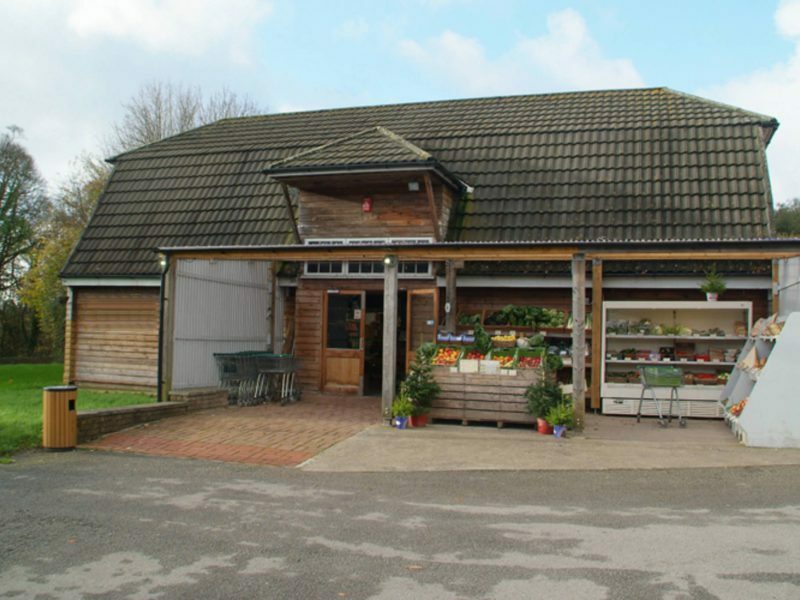 You’ll also find carefully chosen ranges of provisions, wine, beer, cider, soft drinks, cheese etc. We stock Riverford Organic Dairy products and of course our ‘old favourite’ pies and pasties. Our bright conservatory café is a great place to stop for a coffee and a bite to eat. We cater for vegetarians and vegans and stock a wide range of traybakes if you'd like something sweet. For lunch make up a plate with a selection of salads and deli items made in our own kitchen, or enjoy a burger, hot pie or pasty. Make the most of our free parking and stop off next time you are passing! Please call to verify any holiday times. Our shop at Yealmpton was the first outpost back in 1995. Since then it has seen a few changes, all for the better. We put in a proper butcher's counter to replicate what we do best at Staverton and offer a full range of fresh organic meat as well as our famous sausages and dry cured bacon. Our newly revamped shop space stocks a full range of provisions, drinks, dairy and fish products. Our large and airy café is a great place for a coffee, our famous all day breakfast or lunch. Why not stop off after a trip to one of our nearby beaches? We cater for vegetarians and vegans and our breakfast makes a perfect post-surf feast. Lunch can be a plate with a selection of salads and deli items made in our kitchen, one of our daily specials or a burger, hot pie or pasty. We're bringing the farm shop to the city, which feels like a good thing to do. 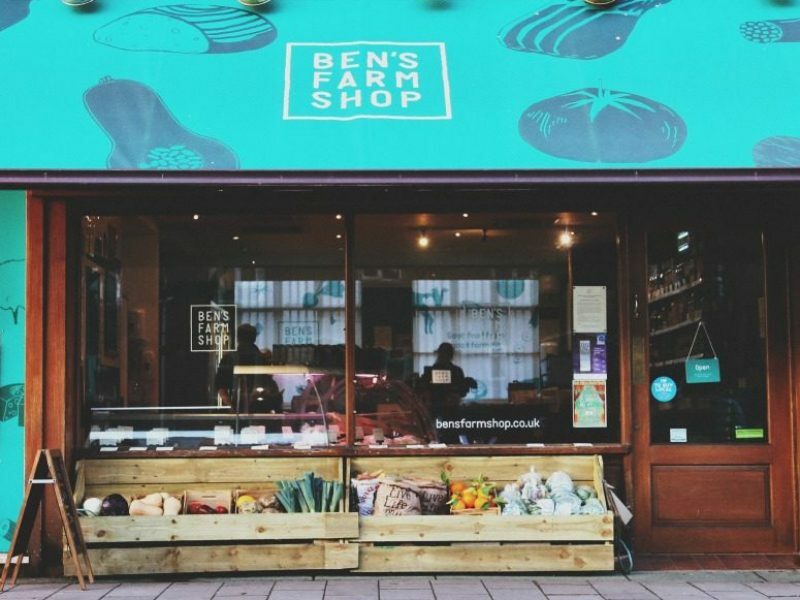 Our newest shop features a traditional butcher's counter selling high quality, local and organic meat, and organic fruit and vegetables from Riverford farm. We also stock a range of our own goods from our farm kitchen - pies, pasties, preserves, soups, dips, cakes and traybakes, and organic dairy products from Riverford dairy. Hot take-away lunches include our own soup, pies, pasties and sausage rolls. A town seemed like the right place for a shop and we thought we would save people the hassle of driving out to the farm for a quick shop. So we opened our convenience store on Totnes high street. We’ve taken the best organic and local produce from the farm shop and tailored it for those smaller daily and mid-week shops, but you'll be surprised how much we've packed in to a small space. There is also plenty of choice for a take-away lunch with hot soup, rolls, pies and pasties and a great range of fresh cakes from our farm shop kitchen. 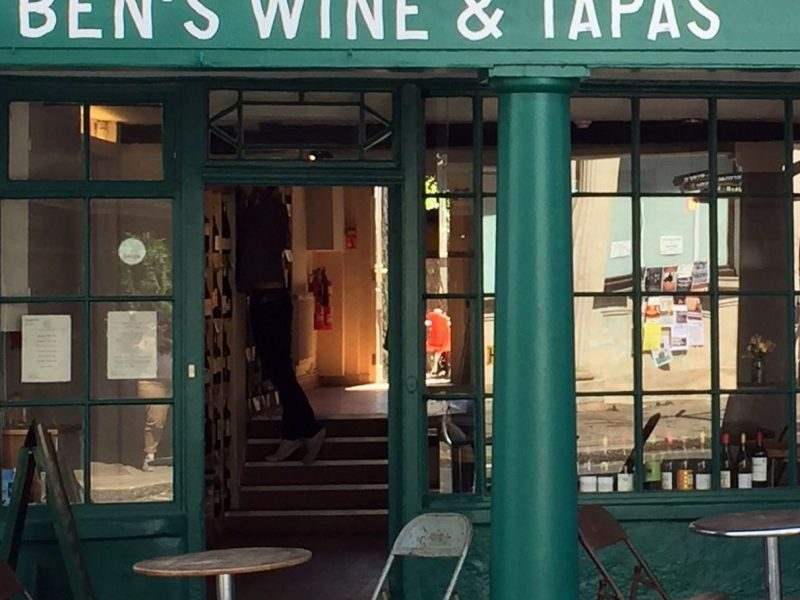 Our Wine & Tapas bar is a relaxed place to meet, eat, drink and buy some great wine to take home. We're open Monday to Saturday for breakfast, coffee, delicious cakes made by us and a varied tapas menu which is served from 12pm right through to dinner. 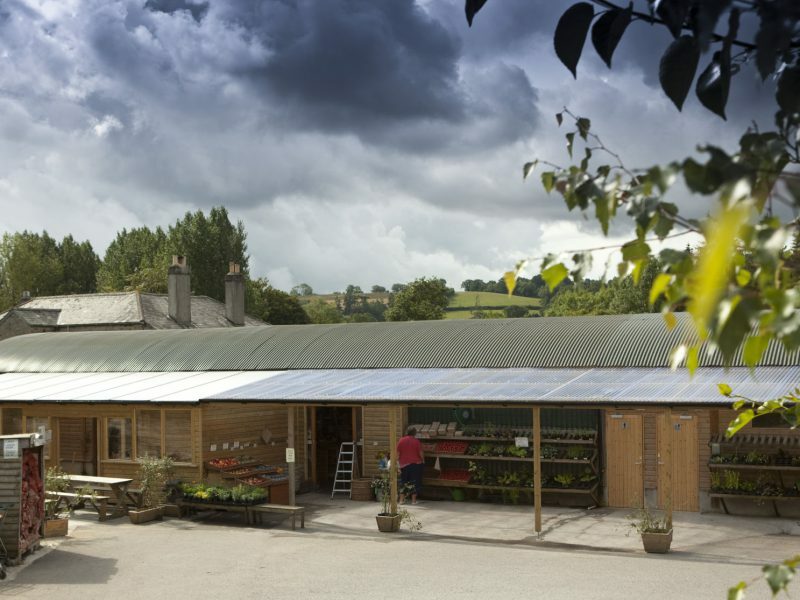 We use the same produce here as at the farm shops and dishes change to reflect the best of seasonal and local sourcing. Add to that an impressive selection of wines that are available by the glass or bottle, with a meal or to buy and enjoy at home. We also have a lovely sunny, walled garden. Cafe, Bar, Garden, Toilet (not disabled access).